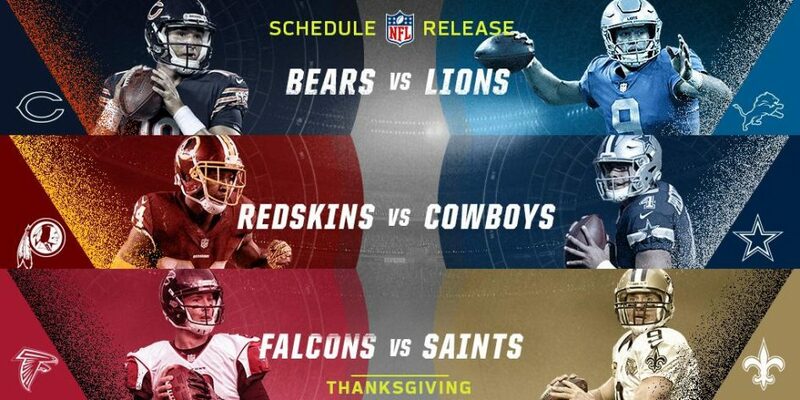 NFL games on Thanksgiving have become an American tradition. Every year, people spend their days in front of their TVs, smartphones, tablets and laptops just to watch the games. With that said, for those who have cut the cord, how are you going to watch the games this year? All of the games are on nationally broadcasted networks such as CBS, FOX and NBC, which are all available over-the-air on antennas. The best way to stream these games is going to be through live TV streaming services. However, not all streaming services will have your local stations, so it is best to check which channels are available in your area before you sign up for a free trial. The Bears vs. Lions game is on CBS, so another way to stream that (on top of live TV streaming services listed above) is through the CBS All Access service. This is CBS’s very own streaming service. Right now, users can get a month-long free trial of the service, which means that you will be able to stream the game that is on the network on Thanksgiving, along with the games on Sundays for the next month. This game starts at 12:30 PM EST. The Redskins vs. Cowboys game is being broadcasted on FOX this year and FOX can be streamed on their FOX Sports GO app. However, you will have to sign-in to your TV provider in order to watch games and sporting events from their app. If you can do that though, you will be able to stream the game from the service. The game itself starts at 4:30 PM EST. Lastly, the Falcons vs. Saints game is on NBC’s Sunday Night Football. This game can be streamed on the NBC Sports app. Again, you will have to sign-in with your TV provider in order to stream the game from that app. That game will start at 8:20 PM EST. All of these apps and services are available on the iPhone, iPad, iPod Touch, Apple TV and the Mac.